Eyeshadow available in three different finishes delivering an intense and immediate color result. Velvet: A matte cream eyeshadow that soothes and nourishes the delicate skin on eyelids while contouring and defining with a velvety veil of vibrant color. 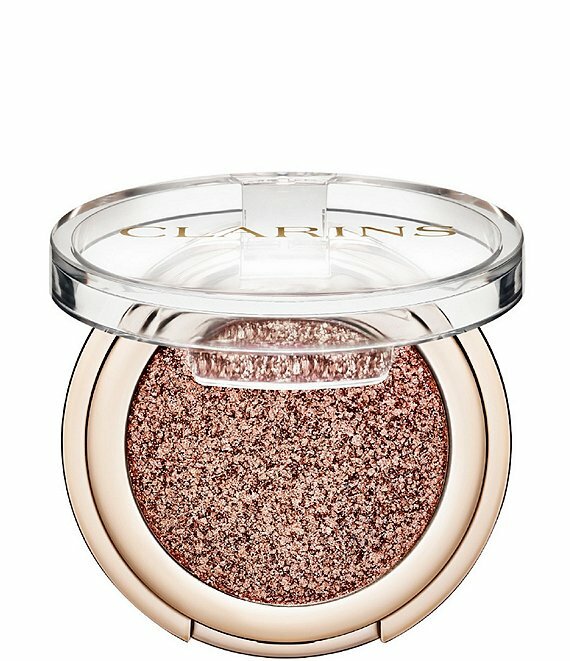 Sparkle: A sparkling powder eyeshadow that soothes, nourishes and protects the delicate skin on eyelidswhile contouring and defining eyes with bold, stay-put metallic pigments. Satin: A satin smooth cream eyeshadow that shapes, contours and defines with intense, immediate, crease-free color that stays fresh and flawless.